If you're using a Raspberry Pi, follow the steps below to configure it to use the I2C interface. 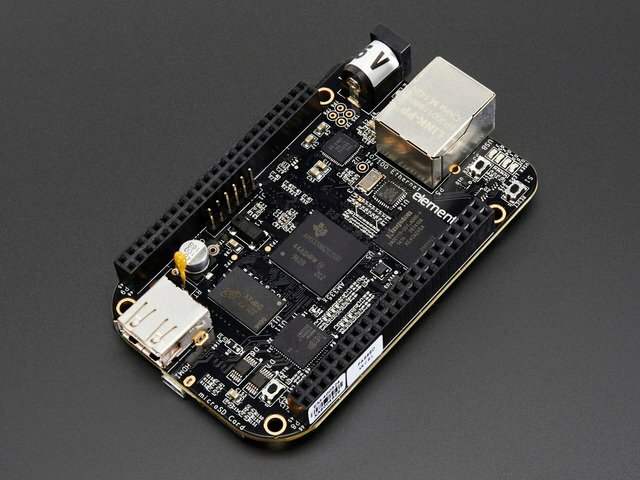 If you're using a Beaglebone Black with its standard Debian distribution, you can skip this page and move on to the next step. Make sure that you connect the VIN pin on the BMP sensor to 3V3, NOT 5V0! Connecting VIN to the 5V supply will cause the board to use 5V logic, which is perfect for the Arduino, but may damage the sensitive 3.3V inputs on the Raspberry Pi. Make sure you aren't using any device tree overlays which might interfere with the I2C pins. By default the standard device tree setup of the Debian distribution should expose the I2C bus 1 connections above without any extra work required. Make sure you connect the VIN pin of the BMP sensor to the Beaglebone Black's 3.3 volt power rail, NOT the 5 volt power rail! If you already have git or python-smbus installed you can ignore the message about the package already being installed. If you receive an error message, carefully check that the library was installed correctly in the previous steps and try again. Note that the command needs to be run as root with sudo so that it can access the hardware's I2C bus. You can see from the comments there are a few ways to create the sensor instance. By default if you pass no parameters the library will try to find the right I2C bus for your device. For a Raspberry Pi the library will detect the revision number and use the appropriate bus (0 or 1). For a Beaglebone Black there are multiple I2C buses so the library defaults to bus 1, which is exposed with pin P9_19 as SCL clock and P9_20 as SDA data. You can explicitly set the bus number by passing it in the busnum parameter. The library will also choose by default to use the BMP sensor's standard operation mode. You can override this by passing a mode parameter with an explicit mode value--check the BMP datasheet for more information on its modes. That's all you need to do to read BMP sensor values using the Adafruit Python BMP library! For another example of using the BMP library, check out the google_spreadsheet.py example. This code is similar to the DHT sensor Google Docs spreadsheet logging code, but is modified to use the BMP sensor and write the temperature, pressure, and altitude to a Google Docs spreadsheet. Check out the page on configuring Google Docs to see more details on how to create the spreadsheet and configure the username, password, and spreadsheet name. Note this page shows how to use an older version of the BMP Python code and is only for historical purposes! 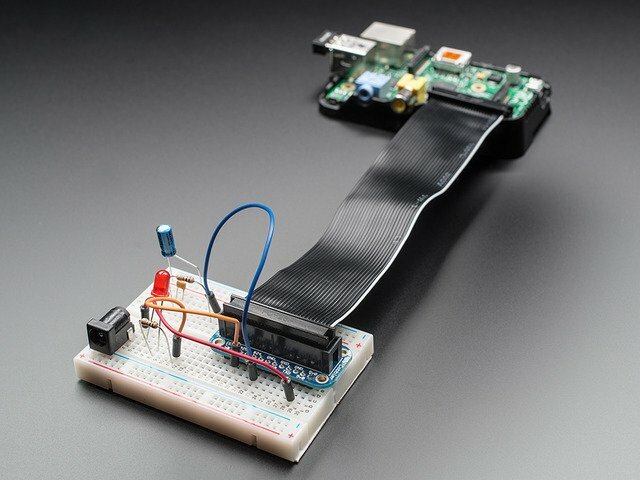 While many of these drivers and classes are works in progress -- we're still trying to figure out how we can make accessing HW as painless as possible on the Pi -- the current code should serve as a good starting point to understanding how you can access SMBus/I2C devices with your Pi, and getting some basic data out of your BMP085. If you're using a version 2 Pi (512 M) then you'll have to change the I2C bus as it flipped from #0 to #1 in the version 2. The BMP085 library is organized as two seperate classes. There is one class to handle the low-level SMBus/I2C calls (Adafruit_I2C), and another class that handles the BMP085-specific functionality. Can I use multiple BMP sensors on the same board? Because each I2C device on the bus needs to have it's own unique address, you normally can only have one device at address 0x77 (etc.). If you require several I2C devices at the same address, and if the devices have a reset pin (like the BMP085 does), then you CAN use multiple devices at the same address ... but at the expense of one GPIO pin per device. What you can do is hold the other devices in reset by pulling the XCLR (Reset) pin low, and letting XCLR go high on the one device that you do want to read, releasing it from reset and causing it to respond to any request on the I2C bus. Note that on the Beaglebone Black there are 2 I2C buses, so you can in theory run one sensor on each bus. This guide was first published on Aug 14, 2012. It was last updated on Aug 14, 2012.